When you first start to develop an idea for a building project, you may find there are several aspects to the process that you didn’t consider at first. 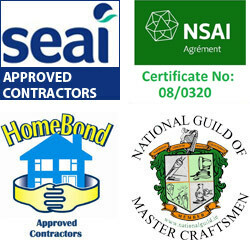 This is where a building contractor can help. King Group, CES is an all inclusive building contractor and you can depend on them to get your current building project right from beginning to end. King Group, CES is dedicated to providing their customers with only the best in customer service. 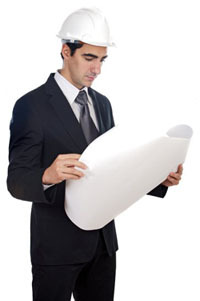 They will work with you to develop your ideas into a workable building plan. King Group, CES will always provide you with answers to any questions or concerns you may have. You can count on King Group, CES to continue to provide the highest level of customer service even after your building project is completed. One of the most important parts of any building projects is the workmanship. King Group, CES takes pride in the superb quality of workmanship on every project, no matter how big or small. From the first nail to the last brush of paint, King Group, CES provides only the best workmanship possible. King Group, CES guarantees the materials your building project is completed with. They don’t take short-cuts or use substandard materials. With King Group, CES, you can be assured that you get exactly what you expect to get in terms of materials and service. King Group, CES will give you a written estimate and you can be sure it will be followed. Should there be any type of issue, King Group, CES will address each one promptly and find a solution that best meets your needs. All work is guaranteed. They want your complete satisfaction in the finished project. After many years of experience and satisfied customers, you know King Group, CES will stand by their word. King Group, CES is the ultimate choice for all of your building contractor needs. They provide the outstanding quality service, workmanship, and materials needed to make your building project exactly what you want and need. These are requisites for a great building contractor and King Group, CES fits them all. Choose King Group, CES for all of your building contractor needs. For further information on Building Contractors call King Group CES on 045 838376 or click here to complete our free online enquiry form.